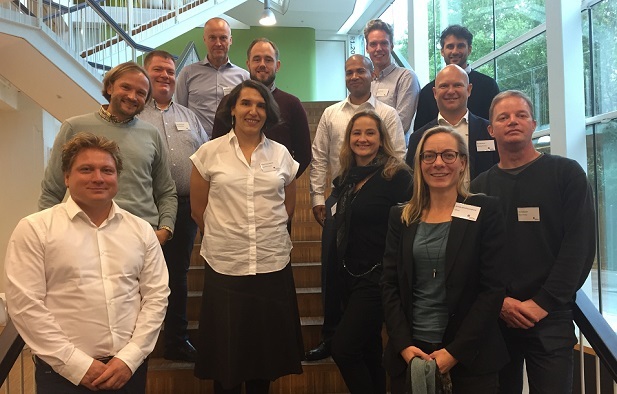 With participants from Denmark, United Kingdom, Lithuania, Finland, China, Iceland, Morocco, Sweden, Poland and Portugal a new class has kicked off their EMBA journey. Half of the participants in the new Global EMBA class hail from outside of Denmark, flying in from countries such as the US and Oman, and all join with extensive experience. On Monday 24 September 2018, the talented executives that make up the CBS Global Executive MBA class met for the very first time. Spirits were high as the professionals commenced forming the bonds that will last a lifetime. Half of the participants hail from outside of Denmark, flying in from countries such as the US and Oman, and all join with extensive experience. Participant Herdis Hallmarsdottir, a Supreme Court Attorney with Embla Legal Offices that joins the CBS Global EMBA from Iceland, concurs. The participants are not only a diverse group in terms of nationalities. As is custom, they also stem from vastly different sectors and backgrounds such as Pharmaceutical, NGO, Greentech, Finance and Military. Between them, the participants boast 258 years of work experience and 182 years of managerial experience. Through the coming 20 months, they will share a learning experience that will take them to London, Shanghai, Chicago and Kampala, with a learning base in Copenhagen.